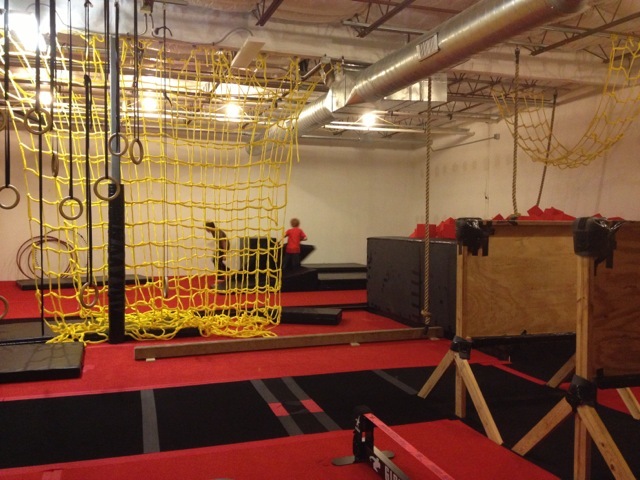 Indoor workout facility Hot Lava Obstacle Course provides an exercise space for kids and adrenaline junkies. Austinites love two things: staying fit and having fun. It's no surprise that races like the Gut Check Challenge, ROC Race and Spartan races have gained popularity in recent years. These intense obstacle races require participants to crawl through muddy trenches and under electric wires, barrel over fifteen foot walls and wade through freezing rivers. Training for these sorts of courses requires a more adventurous gym — the Hot Lava Obstacle Course. Hot Lava Obstacle Course, located off of Burnet Rd. and Ohlen Rd. between Anderson Rd. and Interstate-Highway 83, is a training facility and adult playground designed for adrenaline junkies that need to brush up on obstacle course skills. Complete with a pipe slide, ring forest, and ‘hot lava’ foam pit, Hot Lava provides an array of obstacles for adventure-crazed racers. Ben and Kate Broussard opened the facility in June 2013, because the two of them participated in various fun-runs and wanted to create an environment in which the public could train on the obstacles, as well. Every week, about 1200 customers come to climb, jump, and "do their thing" — whatever their "thing" may be. To improve speed and agility one might challenge themselves on the over-under walls and quad steps. Obstacles for strength training include a cargo net, ring forest, and a pipe slide. To practice balance, there is a slack line for tight-roping. 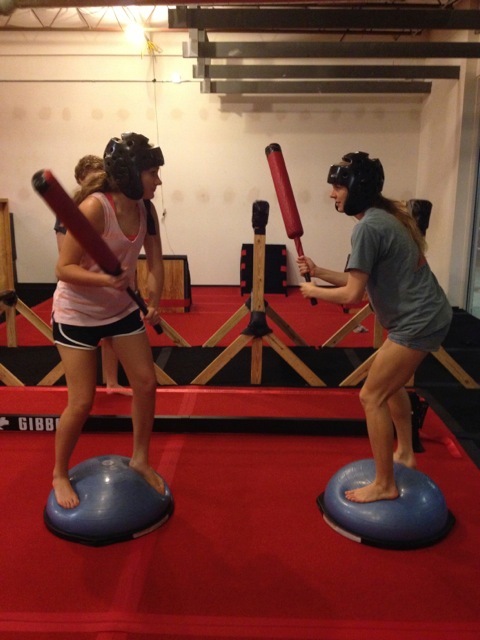 For a more battle-oriented balance, two opponents can fight to knock each other off of BOSU balls with a pugil stick. Obstacles like the pipe slide and quad steps were inspired by similar obstacles in the television show American Ninja Warrior. American Ninja Warrior trainees have also made use of the Hot Lava facility in the past. The facility offers free parking, and visitors pay ten dollars to use the facility for an entire day (10 a.m. — 10 p.m.). The facility is on a come-and-go basis, provided visitors hang on to the trendy day pass sticker. Customers can also purchase a monthly pass for unlimited use at $40 per month. When asked to describe his favorite part about his facility, Ben Broussard remarks that it’s an easy atmosphere to make friends in, and “it opens up your mind to play like a kid.” One customer favorite, owing to the facility's name, is to use the color-coded floor to advance through an obstacle course without touching the red "lava." Obstacle courses can be self-invented, or picked from a suggested list at the front desk. Those with ingenious designs may even find their obstacle course added to a list from which customers can choose from. For more details check out the Hot Lava website at www.hotlavaobstaclecourse.com or contact them at (512) 709-3114.